I love used book stores. I can't stay away from them. The thrill of finding a book I want to read for a dollar or less is almost equal to the thrill of actually reading it. Over the course of a year, I purchase maybe five books at full price. I usually purchase over a hundred from used book stores. And honestly it's kind of been a point of pride for me. I have an amazing collection of beautiful books (I'm not talking about any ragged old paperback - I only buy top quality) that I have spent an incredibly small amount of money on. It's thrilling. I also feel like I'm doing my good ecological deed for the day when I'm buying a used book. I'm saving a tree! I'm keeping a book from the landfill AND I'm not driving up printing (and therefore paper-wasting) by buying new. What's not to love? But recently I started to think about buying used. Not really a crisis of conscience per say (because I still plan to continue buying used) but just wondering. How do authors feel about readers who buy exclusively used books? What about publishers? I may be doing a good deed for the earth, but by buying used, am I doing a disservice to authors/publishers? I had never considered before that buying new means at least part of the money goes to support the author, publisher, editor, etc. Buying used supports pretty much no one but the used bookstore. 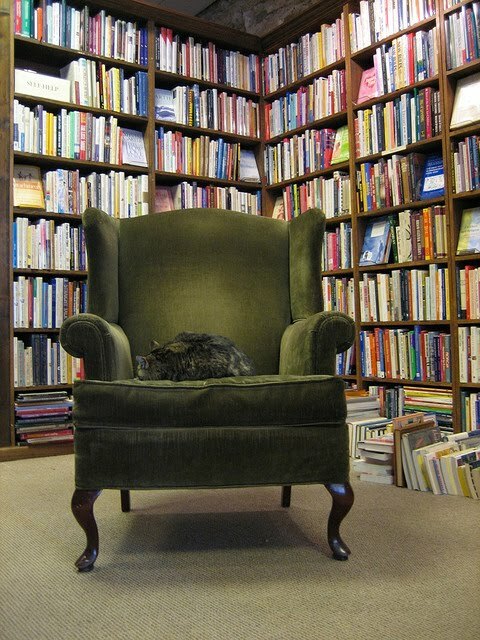 Which is awesome, especially if you're using an independent used book store, but still. So question of the day: Where do you buy your books? And if you're a writer or work in the publishing industry, how do you feel about readers who buy exclusively used books? I buy a mix of the two, but the majority of the books I buy are new. We don't have an awesome used bookstore like McKay's here, otherwise I might buy more used than new. I like buying new though, especially if I've had some kind of interaction with an author on twitter, because I like supporting them to the fullest extent. I don't buy books. I love to read, but the frugal in me just can't. My library is pretty good about requesting a book I want from another library or even ordering it for me. I'm a writer who hopes to be published one day, and I buy used books. But not exclusively. 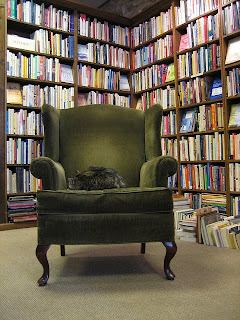 I don't have an awesomely huge used bookstore near me, just my Friends of the Library store, which is really nice. So I feel like when I buy the books from there, I'm supporting the library, and then I check out a ton of books by authors I want to support, so hopefully they'll use my money from the Friends store purchase to eventually buy more books by the authors I'm checking out. Or something. But whenever I can, I do try to buy new, particularly when its a debut author. It would save me a lot of money to buy used, or to get everything from the library, but I can't help but want to support the authors as much as I can. Because I know how important sales are, and I hope that when my first book comes out, enough people have bought it to warrant giving me a second. it's funny you should do a post about this...I was just thinking about the same thing last week! I agree with what all the others have said above. I buy a combination of new and used books (and recently I've been going to the library a lot, too). I tend to buy new books if I'm really excited for their release. Usually it takes a while for them to make it to libraries and used book stores, so I'll go ahead and buy them (esp. now that Amazon is having all these great deals on new releases...the last several just-released hardbacks I've purchased there were all around $10). And I agree with Heather...if it's an author I really love and I want to support them as much as I can, I'll usually get a least a couple of their books new. Your taking out clothes for book space :-0 now that is addiction. If I started to do that I'm sure my family will think I am losing my mind. I love hardcovers so enjoy buying them new but now I have my Kindle so authors will be happy that I actually try books I never would have before. I have been better about buying books recently, only because I don't have the money for them. Otherwise, I would buy buy buy regardless of the space issue! I get most of mine used too! Great post, Julie! I buy a mixture of new and used (probably even). I agree with the previous commenter that mentioned authors writing for the reader rather than the sale. I hazard to guess that since most authors are also book nerds like us, they probably pick up a used book or two as well. I do like to support authors who I love, though. As always, you have posed a very interesting question! I almost always buy new books, not because I am determined to do so, more because I am a creature of convenience! For years, I would buy alot of new books. Since working at the library's used bookstore, I rarely buy new because I am never at a loss for reading material. Whether or not authors are true to their art they need to eat. Ever since I got my Kindle I buy nearly all of my books new or use the library. It makes me happy that my money is going to support authors and publishing houses. I do have a couple of used bookstores that I love and do try to frequent but I find it frustrating that so many won't keep up with the times, something as small as keeping a computerized inventory. I know it is a huge undertaking to start but after you get it going, it is easy to keep it up to date during the book buying process. I've cut down on buying but I rarely have paid full price for a book. Always a bargain, or I get it from the library. I know what you mean, I cant stop buying them. I but tons of books through goodwill. We have 4 in my town/city. Paperbacks are 50 cents and Hardbacks are $1 That is an awesome find! How can you resist. I also hit up the 2 Library Booksales that happen each year (one in April & the other in August). The library book sale have the same prices as goodwill. If I buy a book brand new, then it is because Borders, Books A Million, or Barnes & Noble are having clearance deals & get books for $3 or less. I also hit up the library at least 2-4 times a month to keep up with series/book clubs and new releases. TriciaB - it's interesting that you mention used book stores not keeping up with the times. I think that may actually be one of the reasons I love them so much. They are usually small and personal and unorganized and crammed full of books. It's the thrill of the hunt that gets me - trying to not only find what I want but also stumbling across something I didn't even know I was looking for. Or finding an amazing deal. The serendipity of the lack of organization really appeals to me. I have a system for buying books. Check library. If it's available, put it on hold and wait. If I can't possibly wait, I go to Amazon or Chapters and buy it. I don't buy used because I never get around to those stores. They are all very out of the way.